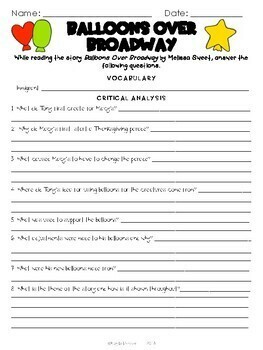 These activities were designed to accompany the book Balloons Over Broadway by Melissa Sweet. 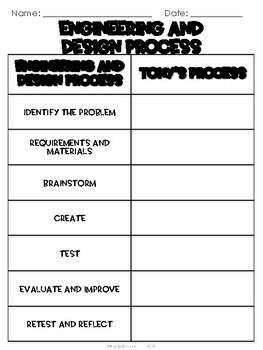 These lessons are a great way to connect STEM learning to literacy. 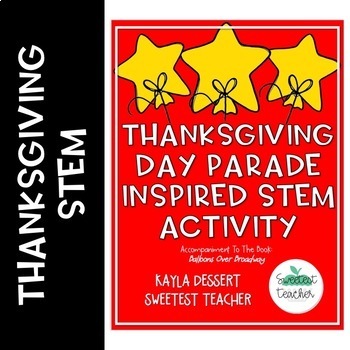 Included in this resource are comprehension questions to be completed after reading the book aloud, as well as a STEM activity to connect your students’ understanding of the story to the engineering and design process that Tony Sarg went through to create the well know balloon characters that are loved in the Macy’s Thanksgiving Day Parade. 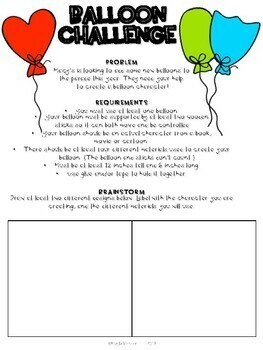 Just add balloons and you're ready to go!